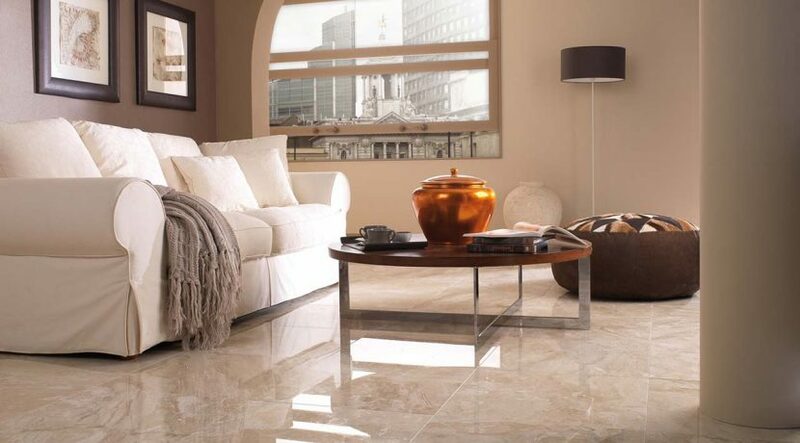 In my opinion, marble is one of the most beautiful materials you can ever have incorporated into your home decor – with proper care and maintenance, it will maintain its pristine condition throughout the life of the home. It will always add value both in visual appeal and in financial worth. In order to know the “how and why” that upkeep of marble is so important, you need to know a little about its origin. No. It’s not decayed jungle flora a hundred-million years ago, changed by pressure and heat into some lovely expensive, light refracting gemstone! Marble is rock that is actually formed by sea shell deposits billions of years ago. In the areas or regions where marble is now mined, the miners also find fossils of sea creatures along with chunks of limestone which is also a by-product of sea shells. More evidence that the oceans once covered the earth? I think so! In early civilization, marble was sought after for it’s durability and beauty, plus the added bonus that it was more amenable to carve into shapes for bricks and statues! Because marble basically is made of sea shells (calcium carbonate) cleaning compounds that contain acid will destroy it. The acid will find its way under the highly buffed polish or finish, get into the cracks the porous rock, and you’ll eventually wind up with a big pile of white sand. A common household cleaning agent that contains acid is …. Vinegar! NEVER CLEAN MARBLE WITH VINEGAR! A good way to perk up a marble counter or coffee table is to start by washing it with a clean soft cloth dipped in a special solution. Use 3 tablespoons of baking soda to 1 quart of warm water. Dip the cloth into the solution, wet thoroughly, then wring out and wipe all over the marble. You may use a little elbow grease on stubborn spots but do not use an abrasive cleaner (such as Comet, or a scrubber). Allow it to air dry for at least a couple of hours, then wipe with clear water to rinse. Grab a clean soft absorbent cloth and dry it off. To give marble a quick shine, try crushing a child’s stick of common white chalk into a fine powder. Dampen a clean white wash rag and dip it into the chalk powder. Rub it on the marble with smooth, overlapping back and forth strokes. Allow to dry for a moment, then rinse with fresh water on a damp rag, and dry thoroughly. As with most highly polished stones (excluding diamond), marble will scratch. You don’t want that to happen so take a few precautions with your other furniture and – the other residents of your home. Keep furniture from scratching the marble surface by placing them on rugs or carpets. If that’s not feasible, be sure to use pads or furniture protectors under the feet of the tables, chairs, or china cabinets. These products are available in various sizes and dimensions at most hardware stores. It’s also possible to cut felt pads and glue that onto the bottom of the furniture. That way, if you need to move a heavy chair, it will not scratch the surface of the marble, and you’ll be able to easily push it to its new position. Use dust mops – not brooms – to sweep up surface dirt or dust from marble. Spay with dust mops with anti-static spray so they will more easily attract and hold the dust particles. When the marble needs a “mopping”, use a clean, new sponge mop dipped in fresh clean water. 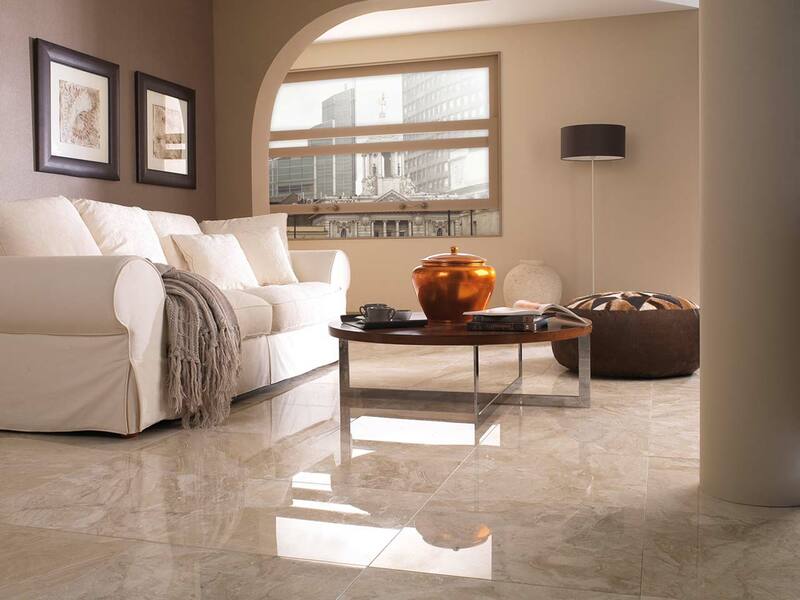 Squeeze out as much water as possible and lightly damp mop the whole surface of the marble floor. You’ll need to dip your mop frequently into the clean water and rinse out the dirt. Don’t use this sponge mop for any other floors, except the marble floors. Don’t leave water on the surface of the marble when you are through damp mopping. Use either clean terrycloth towels or soft paper towels to wipe up the moisture from the whole surface of the floor. After the floor is completely dry, you may buff it with dry paper towels to restore the shine. Occasionally, there will be small stains either on your marble counter top or on your floor. You may not have the time to do a thorough cleaning or mopping but, if you use caution, you may make short work of stains before they are set in. For sugar based stains, moisten a household sponge in warm water that has a few drops of liquid dish detergent added. Scrub the spot, rinse well with clean water, and dry with a paper towel. For dropped on food stains (tomato sauces, sauces with oil) , get to it quickly with a household sponge dipped in warm, soapy water, with a little hydrogen peroxide added. Rub first, then flood the stain, and immediately wipe up excess water. Repeat. As with all stains, we recommend quick action before the stain is absorbed and dries on your marble floor. If you’re a stubborn, died-in-the-wool, do-it-yourselfer, and want to tackle the refinishing job on an older marble floor, there are a number of great products available to help you out. One is a Marble Vanity, Countertop Restoration & Maintenance Kit that contains materials to remove etching and water spots, and helps all kinds of problems. We haven’t tried it but it sounds good. Check at your local home hardware improvement store. At Mrs. Clean, we don’t get into refinishing marble. We clean and restore stone materials to a clean condition, as best we can. However, leave serious marble refinishing to the experts.